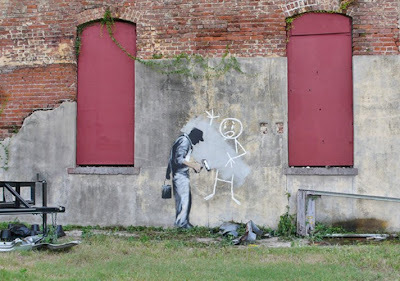 Banksy is painting New Orleans, with various pieces around the city appearing in time for the third anniversary of Hurricane Katrina. 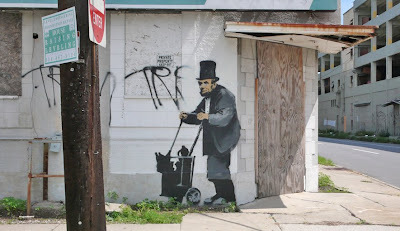 Banksy has published his New Orleans work on his own website at www.banksy.co.uk and the New Orleans graffiti has been picked up by media organisations and bloggers alike. 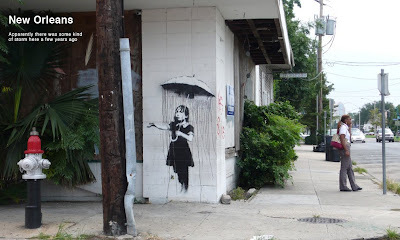 Banksy New Orleans 'Rain Girl' - "Apparently there was some kind of storm here a few years ago"
Banksy New Orleans 'Looters' - "After the floods there was a lot of looting"
Banksy New Orleans - Gray Ghost Revenge! 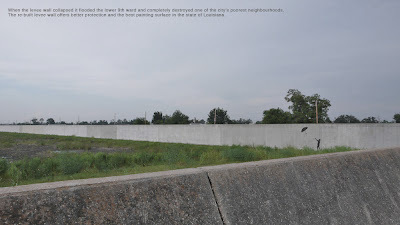 "In addition to its other problems the streets of New Orleans are patrolled by a vigilante called The Gray Ghost, a man who's been systematically oliterating every piece of graffiti across the city with the same shade of gray paint since 1997!" 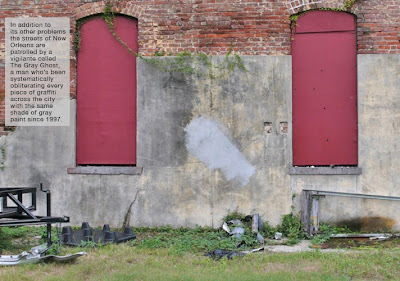 I think it's interesting that Banksy has chosen to upload the New Orleans images directly to his site rather than waiting for news of his latest work to leak out across the internet. 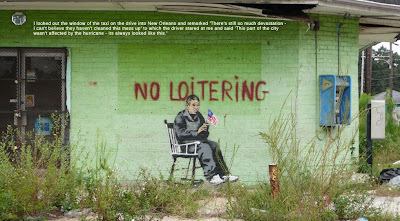 This has ensured that Banksy's New Orleans art has come to the worlds attention on the actual anniversary of Katrina maximising exposure for his message - clever stuff! 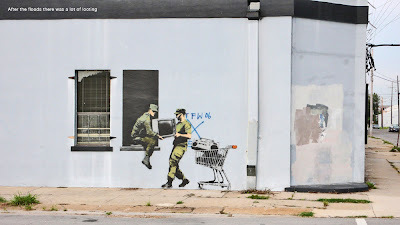 Banksy on Newman Street, London - Word Of Mouth in action?